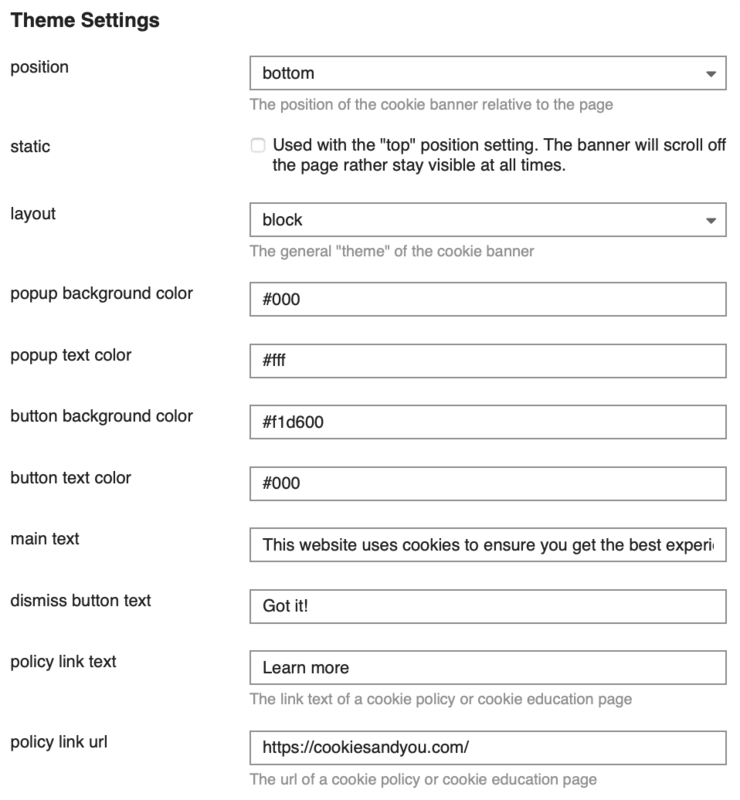 This theme component will allow you to add a customizable Cookie Consent banner to your forum. 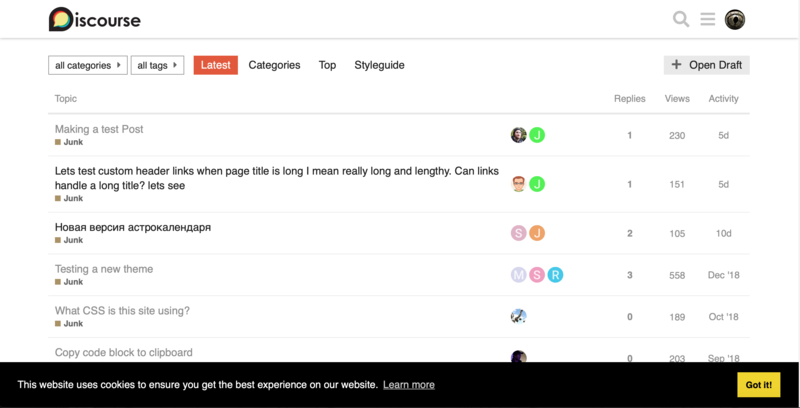 It simply provides an easy way for Discourse admins to make use of the open source Cookie Consent banner by Insites. 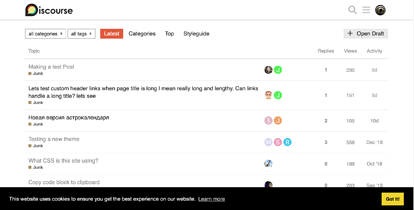 There are several settings to help you personalize the banner to your Discourse forum. If you are unfamiliar with theme components and how to install them, check out the theme installation guide . And if you’d like to learn more about Discourse themes, take a look at this guide . I am not a lawyer. Please make sure this meets your individual legal needs at the time of installing. If there are ways to improve the usefulness of this component, please share! 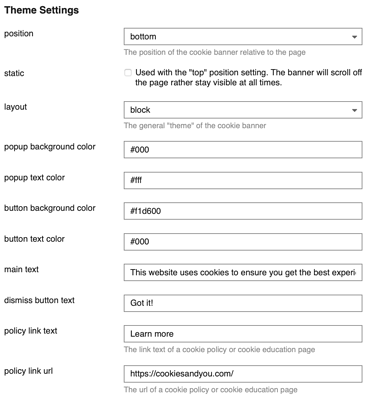 How to show the "cookie consent"? Thank you, this makes things easier. Just started using this on my forum and I gotta say it’s a super awesome and easy way to add this in! Ty for doing this ! Can I place a feature request to be considered for a future version please? It would be good if we could have a checkbox to allow us to set if the “policy link url” opens out in to a new window/tab or not.